One area that the French Pharmacy really shines is its First Aid aisle. This is an aisle unlike any we have the UK, as only pharmacies can sell non-prescription drugs and treatment creams in France, meaning that you won’t find any inflammation reducing Ibuprofen or burn ointment on the shelves of the local supermarket like you can here. This first aid aisle is crammed full of standard and hi-tech dermo-cosmetic products and remedies that everyone knows and trusts for treating everything from burns to bumps. So, get ready to restock your First Aid box with these tried and tested remedies from across the Channel! It’s happened to us all – we’ve been busy cooking up a feast fit for a king in the kitchen when we’ve got a bit carried away and burnt ourselves on a hot pan. After the usual treatment of running the affected area (it’s always my fingers!) under cool water for at least 10 minutes, reach for a tube of Biafine Emulsion and apply it in a thick layer or until the skin no-longer absorbs the cream. A white waxy residue might remain, but this is A-OK. If the pain persists, apply Biafine in thinner layers until the pain ceases. Continue to apply in short bursts until the area has healed which it will do with ease. After many unfortunate curling iron incidents, I can totally verify the efficacy of this product! This ultra-nourishing water-based emulsion was developed for the dressing and management of 1st and 2nd degree burns (including sunburn), superficial wounds and radiation dermatitis and has been used in French hospitals for nearly 25 years. It’s great for use on burns as it’ll provide an optimally moist environment to support the healing process, isolating the wound from harmful germs to lessen the risk of infection. What’s more, Biafine also boosts healing by increasing skin’s natural supply of macrophage levels; tiny immune cells that impact the healing process, reducing inflammation, soothing and repairing the skin’s barrier. A truly multi-purpose wonder cream for your bathroom cabinet. 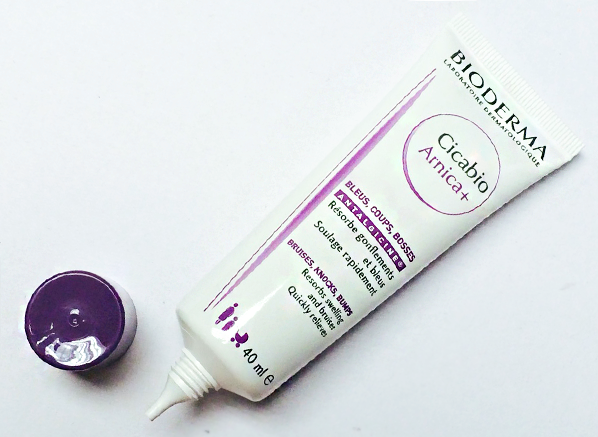 For non-oozing grazes and cuts there’s nothing better than the Bioderma Cicabio Soothing and Repairing Cream. This rich renewal cream is the 2nd most prescribed product by French dermatologists which doesn’t really surprise us as it’s fantastic for skin that’s having a bit of a tantrum as well as being a great antidote for damaged skin after a fall or accident. Think minor cuts and grazes with skin that’s left reddened and angry-looking. This gentle cream contains resveratrol, copper and centella asiatica for quick regeneration of skin tissue, hyaluronic acid to intensely hydrate and a copper-zinc complex that forms a plaster-like barrier over skin to prevent bacterial entry and infection. Skin is left feeling comfortable with the urge to scratch reduced, which allows the area to heal properly to minimise the risk of scarring. It’s suitable for use by all the family, including babies and toddlers. In fact if you have young children, you’ll likely end up with an empty tube quicker than you think as it’s so useful for any kind of non-weeping skin problem that children so prone too. Another tried and tested French First Aid remedy for irritated skin, minor cuts/scratches and insect bites is the cult-favourite Boiron Homeoplasmine Cream, another multi-purpose balm with antiseptic, decongestant and repairing properties. This clever ointment will heal and protect damaged, dry and irritated skin with its homeopathic blend of plant extracts and active ingredients including Calendula, Phytolacca, Bryony and Benzoic that work in combination with each other to trigger the body’s own healing process. Damaged skin is left cared and calmed with this hydrating, health-restoring formula. This little tube of magic will also perform miracles on chapped lips, sore, flu-induced nasal irritations and allergy breakouts. Marvellous stuff. Bumps and bruises are a fact of life, no matter your age. We’re all a bit clumsy every now and again, walking into doors, knocking into boxes or just generally tripping over your own feet… or is that just me? Luckily, Bioderma has come to the rescue of the perpetually clumsy, or the roller blade aficionado with their restorative Cicabio Arnica+, a lightweight cream that quickly reduces swelling and discomfort. The French are great believes in the healing powers of Arnica and have historically used either an Arnican cream or homeopathic arnica granules to soothe harmed skin. that’s been infused with the patented Antalgicine®, a biological agent containing arnica extract and apigenin to eliminate the pigments that cause unsightly bruising, zinc to prevent bacterial growth and glycerine to keep skin supple. Perfect for use on troublesome toddlers, cheeky children and adults alike. Apply as soon as possible to the affected area and repeat daily until healed. A must-have for any first aid kit and beauty bag – no longer will you have to fear going bare-legged with this bruise-free dream cream! Minor cuts are a pretty common first aid incident, from shaving nicks to chopping incidents and everything in-between. Once a wound has been cleaned and the bleeding has stopped you can then start worrying about the healing process. Before dressing the wound, you could apply a special skin reconstructor to stimulate the healing process, minimise the risk of scarring and prevent infection, like the specially formulated La Roche-Posay Cicaplast. This gel-like cream is kind of like one big dermatological plaster, formulated with a complex blend of minerals, including copper, zinc and manganese which boost the production of new skin cells to accelerate healing. Cicaplast is fantastic for cuts as it acts as an insulator for damaged skin, forming a tough, water-resistant anti-bacterial barrier that keeps it protected from external aggressions and free to heal in a comfortable environment with minimal irritations. Fab for healing post-surgery scars and post chemical peel flaking too. An excellent alternative to Cicaplast is the ultra-soothing Avene Cicalfate Repair Cream. This intensely rich cream contains micronized copper sulphate and zinc sulphate which are proven to aid tissue regeneration and soothe upset skin, helping wounds heal quickly with an improved appearance and texture. This is a great alternative as it’s delicate enough to be used by all the family (including the smallest of babies) and it can even be used to treat nappy rash and over stitches to halt the urge to scratch. Most of us will have been here at some point on holiday… gotten into a really comfortable position on the sun-lounger and drifted off to awake hours later feeling like you’ve been set on fire. Or the classic, total ignorance that you’re skin is burning whilst you’re splashing about in the sea or getting merry in the midday sun with a few cocktails until someone points out that you’re looking a bit pink. Every good First Aid Kit (especially holiday ones) worth their salt should have a bottle of after-sun lotion and there’s a few gems available in the trusty French Pharmacy. 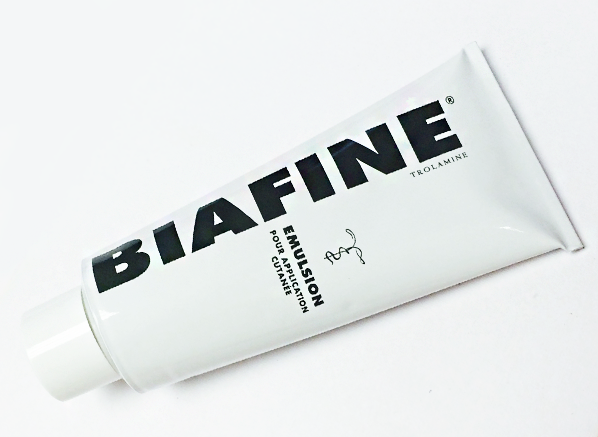 For serious sunburn there won’t be anything better than the aforementioned Biafine cream. For minor-to-mild sunburn though, the La Roche-Posay Posthelios Melt In After Sun Gel is ace. This soothing, post-sun treat has a non-greasing, ultra-cooling formula that will sink straight into skin, calming and soothing with its hydrating blend of shea butter, reparative oils, anti-inflammatory and anti-microbial properties that will restore the balance of stressed out skin, whilst a heady dose of the acclaimed La Roche-Posay Thermal Spring Water soothes the hot, burning sensation. 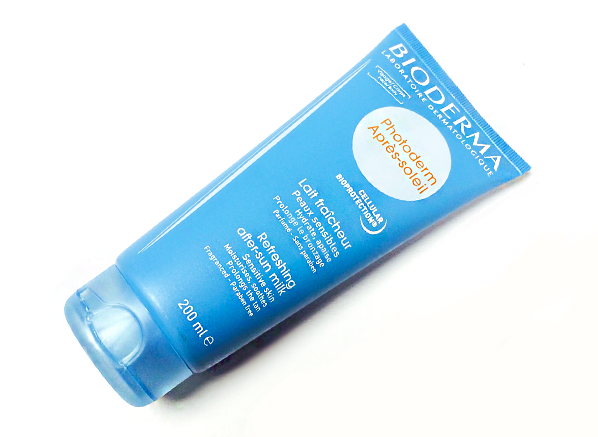 A nourishing alternative that’s safe for use by the whole family is the Bioderma Photoderm Apres Soleil Refreshing After Sun Milk. This wonderfully moisturising milk is suitable for the whole body and the face, curbing skin peeling and smartly preparing the skin for further exposure. However, prevention is definitely better than cure when it comes to sun burn. A good sunscreen will do your skin wonders, reducing harmful exposure to UV rays that not only age skin but also damage the epidermis, sometimes irreparably. Protect your face and body with the La Roche-Posay Anthelios XL SPF50+ Ultra Light Fluid and the Anthelios XS SPF50+ Smooth Lotion for reliable, high protection that you won’t regret. A thermal water spray isn’t wholly necessary in your First Aid Kit but it might be nice to have when in a pinch. It could prove invaluable for cleaning cuts and grazes when there no’s quick access to clean water. Whilst all the French Pharmacy thermal water spray offerings would be an excellent addition, the Vichy Thermal Spa Water Spray is a true hero product. Rich in fifteen rare mineral salts and oligo-elements, this skin restoring water will decongest, cleanse and soothe skin. It’s so fabulous it’s been recognized by the French Academy of Medicine! Plus you can use it to quickly soothe sunburn, hydrate overheated, irritated skin and for general refreshment. I bet you won’t regret adding a little canned tin of water into your emergency bag! And there we have it. The champion First Aid products of the French Pharmacy. Open up any French bathroom cabinet and it’s likely they’ll have a few of these multi-purpose marvels sitting proudly on the shelves! Why not stock up now on these beauties now whilst there’s up to 1/3 off all French Pharmacy? OK product for sensitive skin with problems, refreshens your skin and helps reducing redness/ blemishes. But don't expect any spectacular effects the first time you use it, you need to use it for a couple of days to see a bit diferrence - smoother and delicate skin. In my opinion, Vichy face creams work better than this product. This entry was posted on Tuesday, October 14th, 2014 at 5:59 pm and is filed under Essentials, French Pharmacy, Skincare, Skincare Edit, Uncategorized. You can follow any responses to this entry through the RSS 2.0 feed. You can skip to the end and leave a response. Pinging is currently not allowed.